America’s energy industry is booming thanks to President Donald Trump’s pro-energy approach. He’s worked to approve the Keystone XL pipeline, remove unnecessary regulations, open up ANWR in Alaska for energy exploration, and has helped fracking expand in parts of Texas and New Mexico. The result is that America is finally nearing energy independence, freeing us from the burden of relying on oil from unstable regimes in the Middle East. That is, unless an anti-energy crusader becomes President. 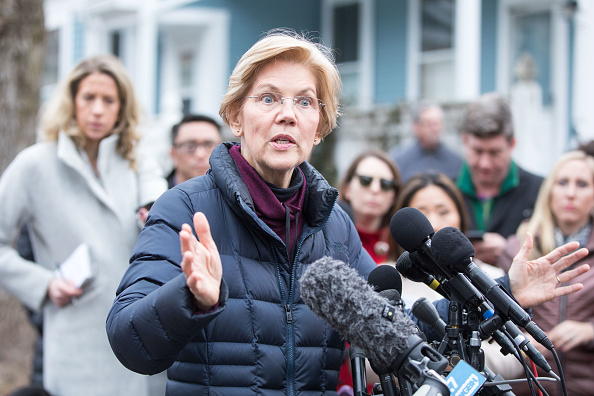 One leftist 2020 candidate – Massachusetts Senator Elizabeth Warren – is taking dangerous eco-policy to new heights with a plan she’s rolling out to end fossil fuel leasing on public lands. The Associated Press reports that Warren “is vowing to prohibit new fossil fuel leasing on public lands if she’s elected president.” She would do this via executive order, circumventing the democratic process. This is a dangerous proposal. Remember, much of the West – where many of our natural resources are located – is controlled by the federal government. Today, the federal government leases land so that energy workers can extract resources. The result is massive economic growth in these areas, with high-paying jobs that bring even more jobs to rural areas to support the energy workers who live there. The leases on federal lands are also what’s allowing America’s energy industry to compete – and win – on the world stage, with safely extracted natural gas and oil. It seems Elizabeth Warren, who has also endorsed the “Green New Deal,” would like the prosperity being created under President Trump to cease the moment she’s elected President. Fortunately, Americans still have time to make their voices heard on both sides of the aisle and stand up for the countless energy jobs that will power our future.